Specimen transfer bags are used to transfer materials and paperwork between different areas or departments in healthcare facilities. 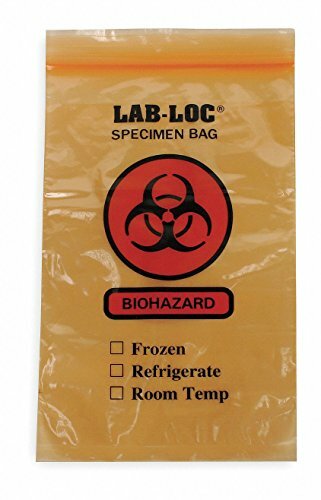 Super heavy, low-density polyethylene bags feature 2 pouches"1 for the specimen and 1 for the paperwork/documents. The document pouch is on the back side of the bag, so there's no chance of contamination. Printed with biohazard symbol.